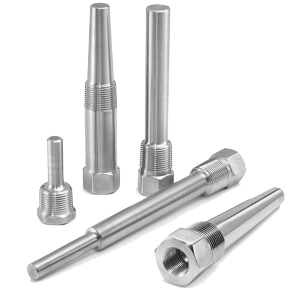 Threaded thermowells are utilized when pressure, high velocity and corrosive process media exist. This serves to isolate and protect the sensing instrument, and permits removal of a sensing instrument without shutting down the process. A perfect solution for protecting the process and extending product service life. 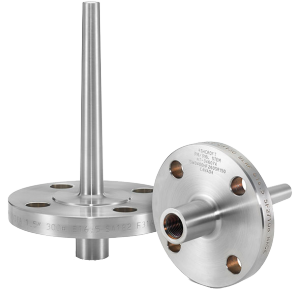 Sanitary thermowells is utilized when pressure, high velocity and corrosive process media exist. This serves to isolate and protect the sensing instrument, and permits removal of a sensing instrument without shutting down the process. 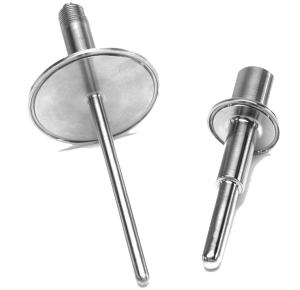 Thermowells are offered in a wide selection of materials, sizes and dimensions; a perfect solution for protecting the process and extending product service life. 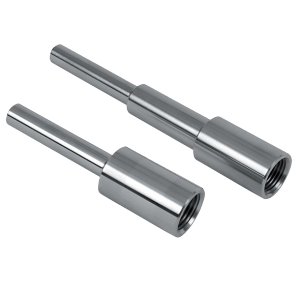 Socket weld thermowell is used when pressure, high velocity and corrosive process media exist. 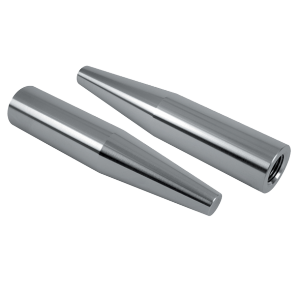 Serving to isolate and protect, it also allows the sensing instrument to be removed without requiring process shut down. An ideal solution for ensuring system operation. Van Stone thermowell is used when pressure, high velocity and corrosive process media exist. Designed to mate between two existing flanges. Serving to isolate and protect, it also allows the sensing instrument to be removed without requiring process shut down. An ideal solution for ensuring system operation. 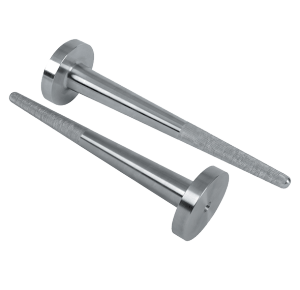 Weld-in thermowell is used when pressure, high velocity and corrosive process media exist. Serving to isolate and protect, it also allows the sensing instrument to be removed without requiring process shut down. An ideal solution for ensuring system operation.